(RxWiki News) Knowing your asthma triggers is the first step in avoiding them. It's important to know what triggers your asthma to help you avoid asthma attacks. Pet dander. Solution: Take steps to reduce pet dander. One way is to keep your furry friend out of your house. If you'd rather have your pet inside, keep the pet out of the bedroom of the person with asthma. Also, bathing the pet weekly and keeping the pet outside as much as possible will help. Be sure to vacuum or mop often. Dust/dust mites. Solution: Pay attention to the furniture and decor in your home to minimize dust. Encase pillows and mattresses in a dust-proof cover. Alternatively, wash your pillow, sheets and blankets in hot water (hotter than 130 degrees Fahrenheit to kill the mites) each week. Reduce the humidity of your home to below 60 percent. Cockroach waste. Solution: Never leave food out. Always keep food in closed containers and keep your garbage can closed. If cockroaches are present, use roach traps or gels. Indoor mold. Solution: Prevent mold spores. Clean damp areas and moldy surfaces with a bleach-containing product. Aim for the humidity level in your home to be between 35 and 50 percent. Sulfites in food and drinks. Solution: Avoid sulfite-containing products. Avoid drinking beer or wine, as well as eating dried fruits, processed potatoes or shrimp (if these cause your asthma symptoms). Vacuum cleaning. Solution: Wear a dust mask or get someone to vacuum for you (vacuum once or twice per week). Stay out of rooms while they are being vacuumed and for some time afterward. Pollen and outdoor mold. 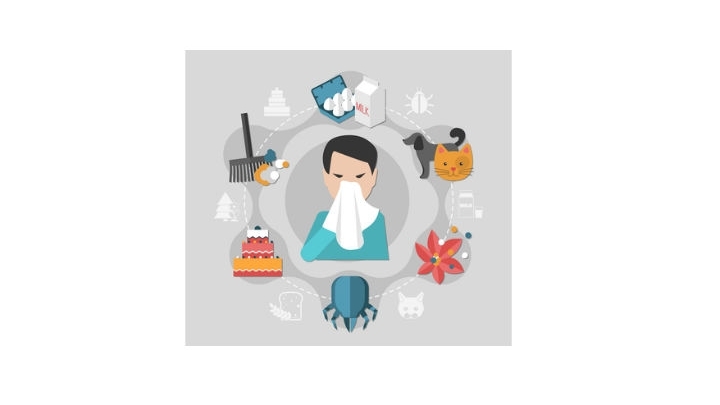 Solution: Stay indoors and keep your windows closed (especially during pollen season and from late morning to the afternoon, when pollen and some mold spore counts are the highest). Cold weather. Solution: Be prepared. When it's cold or windy outside, cover your mouth and nose with a cold-weather mask or scarf. Tobacco smoke. Solution: Avoid tobacco smoke. If you smoke, take steps to quit. Ask your local pharmacist how he or she can help you stop smoking. For some people, strong odors and sprays are a trigger. If this is a trigger for you, take steps to avoid strong odors. Other triggers may include some medications. In this case, be sure to tell your doctor or pharmacist about all of the medications you take and which kinds of drugs trigger your asthma. Speak with your local pharmacist about how best to manage your asthma.